Tricia, a Senior Patent and Trade Mark Manager, travels between Singapore and Malaysia. She holds a M.Sc. degree in Polymer Science from the Institute of Science & Technology of the University of Manchester in the United Kingdom. Tricia also holds a Master of Science in Intellectual Property Management and a Graduate Certificate in Intellectual Property Law, both from the National University of Singapore. She also completed the Federation Internationale des Conseils en Propriete Industrielle (FICPI) South East Asian Patent Drafting Course. Tricia’s fifteen years of experience in Intellectual Property has included positions on two Singapore Government Statutory Boards, where she held appointments covering various portfolios, which included diverse Intellectual Property matters, such as technology scanning, the assessment of technology trends, promotion of research and development, research and development grant management and training of related manpower. In particular, she was actively involved in the establishment of the Institute of Materials Research and Engineering (IMRE). She was also involved in the development of the Graduate Certificate in Intellectual Property Law course, conducted by the Faculty of Law of the National University of Singapore. Tricia previously worked with an IP company, where she was extensively involved in all aspects of IP practice. 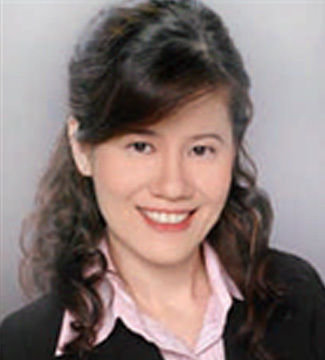 In addition, she has conducted prior art Patent searches, investigations into technology and competitive intelligence, including Patent analysis and has developed intelligence about technologies and strategies of competitors and trends in the Singaporean and Malaysian marketplaces, regulatory area and business environment. Tricia is also very experienced in all aspects of Trade Mark protection and enforcement in both Malaysia and Singapore. In addition to her above qualifications, she is also a registered Malaysian Trade Mark agent and further enjoys working and advising on Design matters in both Singapore and Malaysia.